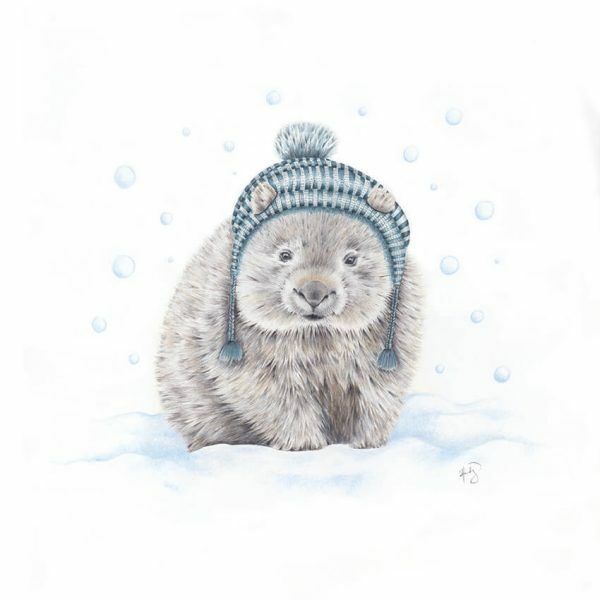 ‘William’ the ever so sweet winter wombat to be featured in just about any room in your home. This print is available in 2 sizes: (30 x 30cm) open edition print and (A3) (297 x 420mm) Limited Edition Print of 100. Standard sizes for framing. Paper that defines innovation in sustainable paper production. Using recycled coffee cups, this unique stock contains not only 50% reclaimed cup fibres, but the essence of environmentally conscious paper making.